Elegant and graceful, Spey flies originated on the River Spey in northeastern Scotland and are well over 150 years old. 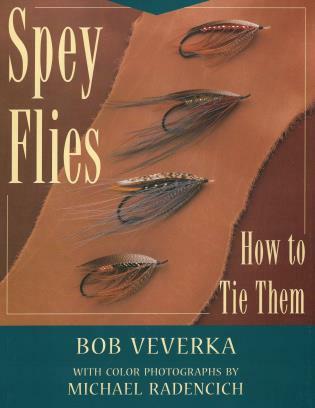 Author Bob Veverka gives the history and background on classic Spey, Dee, Don, Eagle, and Steelhead Spey patterns, including step-by-step tying instructions. Exquisite color plates and patterns for 167 flies, tied by Syd Glasso, Walt Johnson, Joe Howell, and more. Bob Ververka is a well-known fly tier and fly fisherman who has designed several noteworthy Spey patterns, including the Purple Heart Spey, Scarlet Eagle, and Copper Heron. He also provided flies for Trey Combsâ€™s classic book Steelhead. Bob lives in Underhill, Vermont.